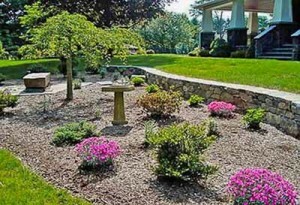 Stone Works Excavating & Masonry is a family owned business, fully licensed and insured, located in New Fairfield, Connecticut serving residential and commercial clients for 28 years. 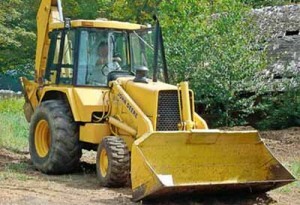 We offer high quality workmanship and service and guarantee our work 100%. Much of our work is repeat business from satisfied customers. 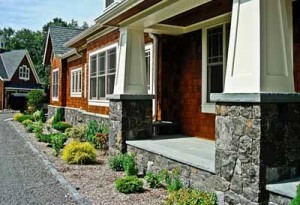 Stone Works can help you build your home from the breaking of the ground, the foundation, the chimney, stones walls, walkways, landscaping and snow removal (residential and commercial). We are also affiliated with a highly qualified team of electricians, plumbers, heating and air conditioning, flooring, siders, trimmers, roofers, painters, all certified, licensed, insured. Call us or email us to discuss your project. Our work has been published in the Smithsonian, Better Homes and This Old House and displayed in brochures for Champlain Stone. Stone Works Excavating & Masonry is a member of the Connecticut Better Business Bureau.